The Yellow-billed Loon resembles the Great Northern Loon, but has a yellow beak. In Europe, the Yellow-billed Loon is a very rare species. 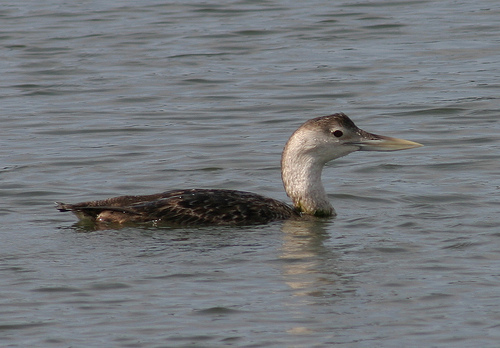 The Yellow-billed Loon has a light yellow beak. The Great Northern Loon has a grey or black beak.